(CNN) - Iran's Foreign Minister blasted US Secretary of State Mike Pompeo for comments about Iranian suffering, saying the US should be held "accountable for crimes against humanity" for its actions in Iran and Yemen. 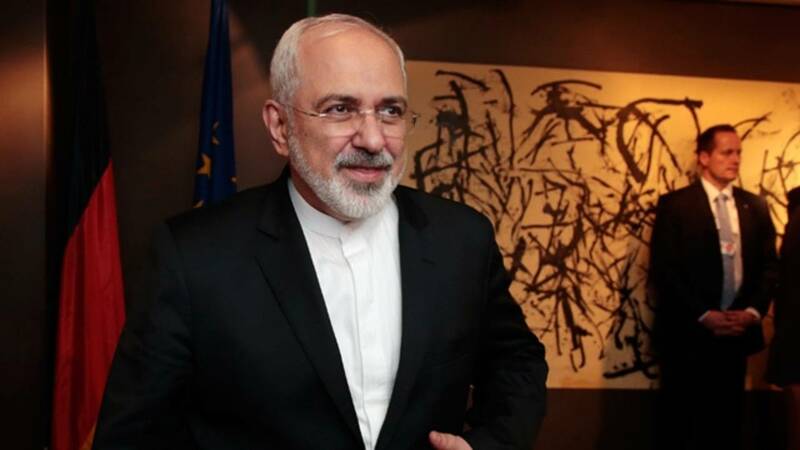 Foreign Minister Javad Zarif asked the top US diplomat "have you no shame," using Twitter to directly address Pompeo in what appeared to be a response to comments the secretary of state had made to the BBC's Persian language service on Wednesday about both Iran and Yemen. Pompeo blamed Iran for the crisis in war torn Yemen, where 13 million people are at risk of starvation as a Saudi Arabian-led coalition fights Iran-backed Houthi rebels. "Iran causes death and destruction inside of Yemen and does nothing to prevent the starvation," Pompeo said, while "Saudis have provided millions and millions of dollars of humanitarian relief" for Yemen. "You know what @SecPompeo?" Zarif tweeted with apparent sarcasm. "It is the Yemenis themselves who are responsible for famine they are facing. They should have simply allowed your butcher clients -- who spend billions on bombing school buses & "millions to mitigate this risk" - to annihilate them without resisting, #HaveYouNoShame." A UN report in August said the Saudi-led coalition may have committed "international crimes," and condemned the coalition's airstrikes on markets, funerals, weddings, jails, civilian boats and medical facilities, as well as its blockade of Yemeni ports, which has restricted the flow of food, medicine and humanitarian aid. CNN has requested comment from the State Department about Zarif's comments. Zarif also chastised Pompeo for his comments about Iran's ability to get access to food and medicine as the US works to apply maximum economic pressure on Iran through sanctions. The interviewer told Pompeo that a BBC investigation had shown the US restrictions on Iran were affecting imports for medicine, agriculture products and food -- all of which are supposed to be exempt on humanitarian grounds. Pompeo said the US would work to make sure that didn't happen. He then added, "the leadership has to make a decision that they want their people to eat. They have to make a decision that they want to use their wealth to import medicine, and not use their wealth to fund ... death and destruction." Zarif said via Twitter that, "Just as with Yemen, @SecPompeo blames Iran for unlawful US sanctions preventing Iranians' access to financial services for food and medicine. Naturally, we will provide them for our people in spite of US efforts. But US is accountable for crimes against humanity re Iran & Yemen." On October 30, in the wake of Saudi Arabia's admission that a group within Crown Prince Mohammed bin Salman's inner circle had killed journalist Jamal Khashoggi, Pompeo and US Defense Secretary James Mattis called on the parties to suspend airstrikes work toward a ceasefire within 30 days, a shift in the ongoing US support for the coalition. Between October 30 and November 8, the Saudi-led coalition intensified its airstrike campaign in the strategic province of Hodeidah, the strategic risk firm IHS Markit notes.